Giving embroidered hats to customers shows that you appreciate their business. It also turns them into walking billboards that can recommend your business to others! 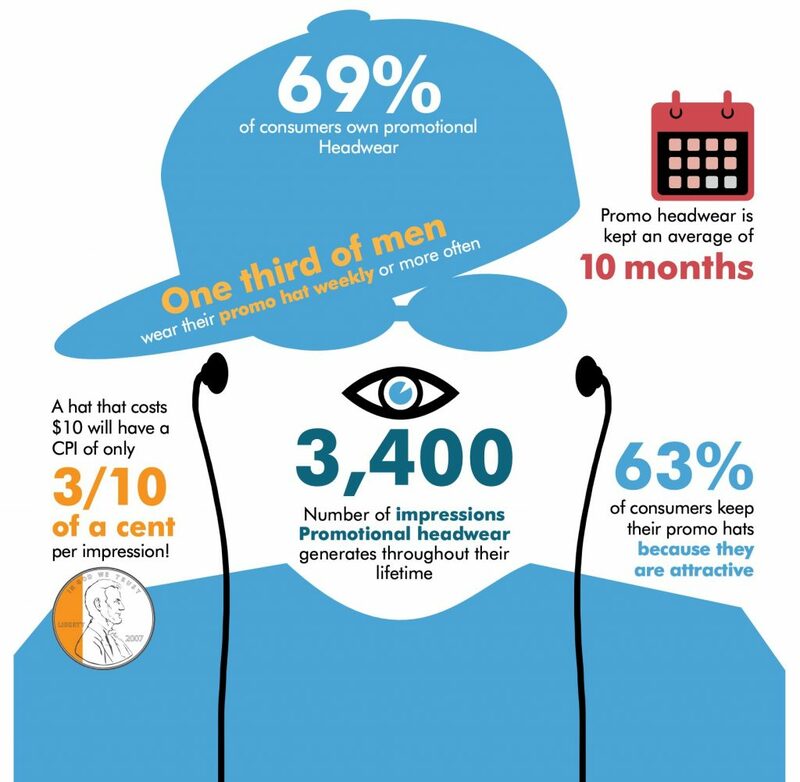 Did you know that promotional headwear will be seen by 3400 people who could become your customers? Thats far cheaper than TV, radio, or even newspaper advertising! A recent survey showed that 89% of people were able to remember an advertiser two years after receiving a promotional item like a hat. That makes embroidered hats a powerful brand building tool for your business. Before you start shopping for hats, there are some important things you should know. First, there is the traditional baseball hat. Baseball hats come in a variety of colors including high visibility ANSI safety hats. Another type of baseball hat is the flexfit hat. Flexfit hats don’t use a traditional buckle or snap closure. Instead, they use elastic and stretch fabric to provide a perfect fit no matter your hat size. Next there is the trucker hat. Trucker hats are an excellent choice for warm climates with their cool mesh backing. Then we have golf hats. Golf hats provide a more formal look than trucker hats. Golf hats feature high performance wicking fabric for optimal comfort in warm climates. Last is the beanie hat. Beanies are a great choice when the weather turns cold. We offer beanies in either knit or fleece fabrics in a wide range of colors. The location of the embroidered logo will depend on the style of hat you choose. For baseball hats the primary logo will be on the front. You want to keep your logo smaller than 4 inches wide by 2.25 inches tall. Baseball hats with cloth sides can accept a small 1.25 inch square logo on either side. Baseball hats with mesh back can be embroidered but we don’t recommend it. If your baseball hat has a buckle or snap closure then you can place an arched logo 3 inches wide by 1 inch tall over the closure. Most customers place their phone number or website address in this location. If your hat is a flexfit style a much larger logo will fit on the back. We recommend a logo of 2.5 inches wide by 1.5 inches tall for the back of flexfit hats. A fleece beanie without a cuff can accommodate a very large logo of 4 inches wide by 3 inches tall. If your beanie style has a cuff then height of your logo is limited by the height of the cuff. Typically this will be 2.25 inches tall and 4 inches wide. If you want to learn more about embroidered hats, we have prepared an embroidered hat buyers guide. If you have any questions or just need some advice, give us a call…we have a team of experts that would love to help.